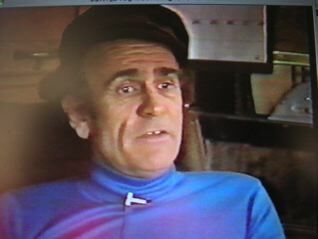 Here’s the first installment of an interview I did with Pete Douglas (Bach Dancing & Dynamite Society at Miramar Beach) in June 1979. 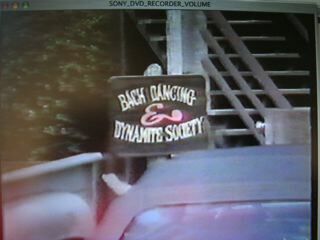 The Bach Dancing & Dynamite Society is a world class jazz house founded by Pete Douglas. The interview was taped and transcribed by Linda Goetz of Coastside Secretarial. Pete: I called it the Ebb Tide Coffee Shop, the little building downstairs. But prior to that it was the Ebb Tide Cafe built about 1947 by Grandma Treadwell. June: People just came here–like the Miramar used to be before it was remodeled? Pete: No, the Miramar was built way back before Prohibition. Grandma Treadwell had her two sons built the Ebb Tide, back in 1946, ’47…they were going to build two stories and they built a foundation big enough for ten stories. There’s probably more beer and wine bottles in the concrete than concrete. Anyway they got it built and they leased it. Far as I remember, that’s what I’m told. Not long after that Buster Westfalt’s mother–the Westfalt familys been out here a long time (ed. True. One of early Westfalts was a “diver” at Princeton Harbor). Buster’s mother opened up a taco place or something and, that was about in the 1940s. And then somewhere in the early 1950s the most colorful, successful owners of the place, was Gladys Klingenberger and her husband Gerald. When they ran it, it was packed. But all they had was beer and (prohibition-style, even though it had ended long ago) Gerald kept whiskey under the counter. There was an old coke box sitting behind the bar where the beer was–and many times Gladys was passed out behind the bar. And people would come in to pick beer out of the coke box…and in the back room there was the gambling room…. And Gerald worked part-time as a cement worker so at the Ebb Tide you’d find cement workers, ex-cons–and you’d had to be prepared to fight your way out. It was a rough place to hang out. It was really a dive. 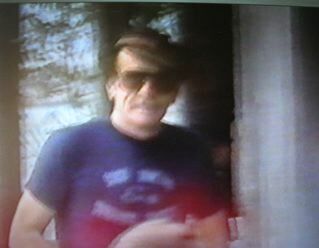 Later on when I was a probation officer, I checked the files, the sheriff’s files on this place–and there were dozens of “blue sheets”, calls for fights, burglary, assault with a deadly weapon. When I bought the building, I inherited some hard oak clubs….and if you got tapped with one of those you were out cold–they were like getting hit with a piece of sttell. Oh man, the Klingenbergers had quite a reputation. And back then the Coastside was pretty wide open–you know what I mean, prostitution, gambling, whatever, so that’s why Gladys sold booze and beer.